While car accidents are a nationwide phenomenon, how drivers in each state pay for accidents varies on a state-by-state basis. Indeed, in some places, drivers will automatically file a claim against the liability insurance of the at-fault driver, whereas in other states, drivers must turn to their own insurance companies for compensation first, regardless of fault. Massachusetts follows the latter, embracing what is known as a no-fault car insurance system. The no-fault rule requires all drivers in the state of Massachusetts to carry personal injury protection (PIP) coverage in a limit of $8,000 per person, per accident, and to file a claim under this part of their policy after an accident regardless of fault. This means that if you are in a crash caused by a negligent driver and are injured, you must still file a claim with your own insurance company. Under the no-fault system, not only are drivers required to turn to their own insurance carriers first, but they are also barred from bringing forth a claim against the other driver or filing a lawsuit. The injured person has suffered injuries considered to be “serious.” Serious injuries are those that result in death, in whole or partial loss of a body part, permanent and serious disfigurement, loss of sight or hearing, or fracture. While there may be more compensation available to those drivers who step outside of the no-fault system, there is a downside to doing so: when filing a liability claim against another driver, you must prove that your injuries would not have occurred but for the action’s of the responsible driver. This can be very difficult to do, especially without strong evidence or eyewitness testimony. 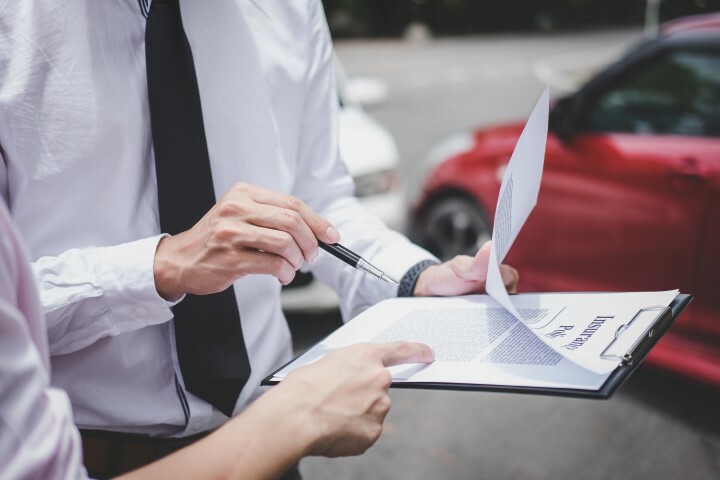 Whether or not you are supposed to bring forth a claim with your own insurance company, how much your claim is worth, and whether or not you have a claim against another driver can all be confusing questions. Fortunately, you do not have to navigate the claims process on your own – our Revere car accident lawyers at The Law Offices of Alan Hildreth King & Associates are here to help. We will evaluate your case free of charge, and provide you with the legal insight and guidance you need. To schedule your free, no-obligation consultation with our legal team, please call us today at 781-284-2900 or tell us more about your car accident by sending us a message.